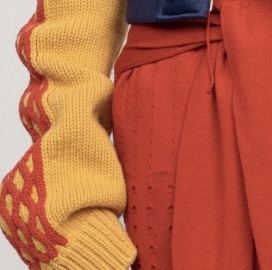 Take up to 90% off on accessories and apparel for men and women at the JW Anderson Sample Sale. Credit card payment only. Take up to 80% discount on men, women, and kids' apparel and accessories at the Four Marketing Sample Sale. Brands included are Dieselm Paul & Sharkm, Orla Kiely, Kendal & Kylie, 7 For All Mankind, Velvet, and Agent Provocateur. Take up to 80% off on men and women's apparel, bags, accessories, and footwear at the Reiss Sample Sale. Shop for men and women's apparel, accessories, and footwear at reduced prices at the SIX London Multibrand Warehouse Sale. 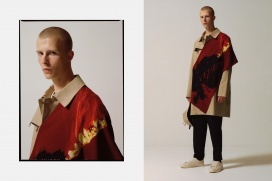 Brands included are Osman, Dilara Findikoglu, Eudon Choi, Dorateymur, Manu Atelier, JOSHUAS, Opening Ceremony, SWEAR London, and TOGA. 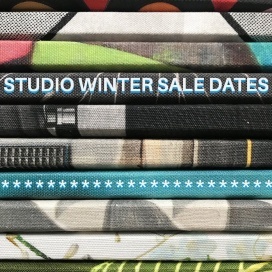 Find great deals on home decor at the Ella Doran Winter Studio Sale. Take up to 70% discount wallpaper, fabrics, cushions, mugs, cosmetic bags, kitchen accessories, glassware, and gift items at the House of Hackney Sample Sale. Take up to 80% discount on men and women's apparel and footwear at the YMC, Folk, Blundstone and Oliver Spencer Sample Sale. Shop for men and women's apparel, accessories, and footwear at reduced prices at DAKS Sample Sale. Odd Bliss will be hosting a Sample Sale featuring women's apparel, accessories, and footwear at discounted prices. Brands included are KEEN Organic, Dimitrios Ordoulidis, Marbe Unique, and Krystall Soamas. Email sales@oddbliss.com to book an appointment. Blackburn Bridal will be hosting a Sample Sale featuring wedding dresses at reduced prices. Designers included are Claire Pettibone, Alexandra Grecco, and Clinton Lotter. Call 0208 297 1188 to book an appointment. 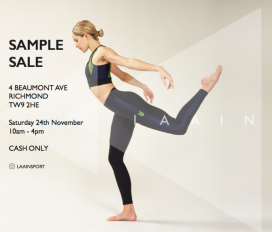 Shop for women's apparel at reduced prices at the LAAIN Sample Sale. Shop for men's apparel at reduced prices at the Wales Bonner Sample Sale.